Original package of Crescendoe Wonder Fabric women fashion gloves. 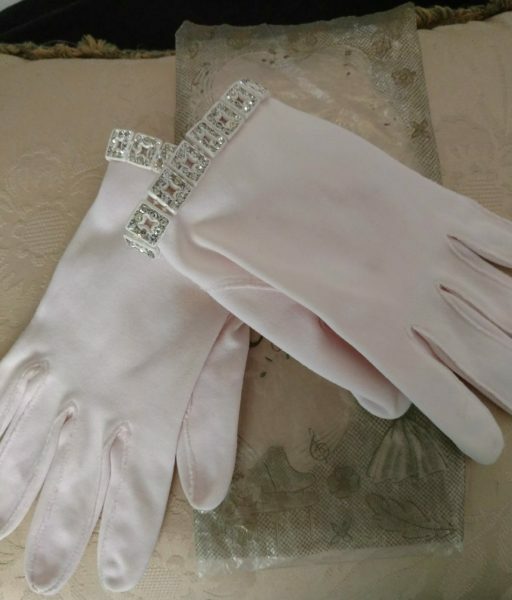 The wrist length gloves are made in a pale pink cotton, with a band of rhinestones, set on a white plastic backing, at the top edging. This 1950’s pair, would be smashing, adding a little bling for bridal, wedding or other formal functions …. or just for plain fun vintage retro wearing.